As a kid, I loved Bob Gibson, the great St. Louis Cardinals ace who was known to throw “a fastball so hard that it could blow a batter down”. In fact, Gibson’s 1.12 ERA (the lowest earned run average in the past 113 years) in 1968 is credited with MLB changing the height of the mound from 15 inches to 10 inches! Gibson wasn’t alone in captivating baseball audiences of the ’60’s with high velocity feats, Nolan Ryan and Tom Seaver of the Mets, Don Drysdale and Sandy Koufax of the Dodgers, Juan Marichal of the Giants, Denny McClain of the Tigers, Baltimore Orioles’ ace Jim Palmer and the Cleveland Indians’ big lefty, Sam McDowell are a few others that helped create a velocity movement that was resonating with the evolution of television. Of course, baseball has always had legendary arms that helped create the majesty of the game, Cy Young, Christy Mathewson, Walter Johnson (who’s fastball “hissed with danger”, according to Ty Cobb), Nap Rucker, Lefty Grove, Dazzy Vance, Dizzy Dean, Bob “Rapid Robert” Feller and other pitching immortals were known for the ability to make the hitter swing and miss, but they didn’t always have the incredible medium of television nor did they have radar guns pointed at each delivery. Now, it’s interesting to note that 79% of all pitches make some form of contact, but for the fan, it’s the potential within the 21% for the mighty void that they get excited about when their guy toeing the hill is facing a dangerous bat. And nothing is more exciting than to see your pitcher rare back and blow away the hitter with a fastball! Add the magic of radar with triple digit numbers flashing the exploding scoreboard and you have effectively hooked the audience and monetized the fastball. Here’s what Boston Red Sox President of Baseball Operations, Dave Dombrowski is on record saying: “People are fascinated with velocity. It’s the speed. That’s why we put the speeds up on the scoreboard. It’s a way of entertaining the fans“. And this from New York Mets starting ace, Noah Syndergaard in a Men’s Journal article titled “Baseball’s 100 Mile Club“, “It’s a great feeling to be able to strike someone out, blow him away, look back at the radar gun, and see pretty digits“. Make no mistake, how baseball monetizes the fastball should be examined closely when considering the top causes that contribute to Tommy John surgeries in today’s reality. As pitchers incorporate more and more force to meet the demands of recruiters, scouts and baseball decision makers, vulnerable arms can’t withstand the pressure. And the greatest measurement of a pitcher’s force in baseball is the radar gun. Interestingly, the impact of radar guns on the game is rarely discussed when the topic of arm injuries is broached. So, let’s look a little closer at baseball’s most important technology to measure pitching and how it shapes the present and future. Tracing the appetite to measure speed reaches as far back as 1912 when the first scientific experiment involving pitchers Walter “The Train” Johnson of the Washington Senators and Nap Rucker of the Brooklyn Dodgers was conducted at the Remington Arms Company bullet testing range in Connecticut. 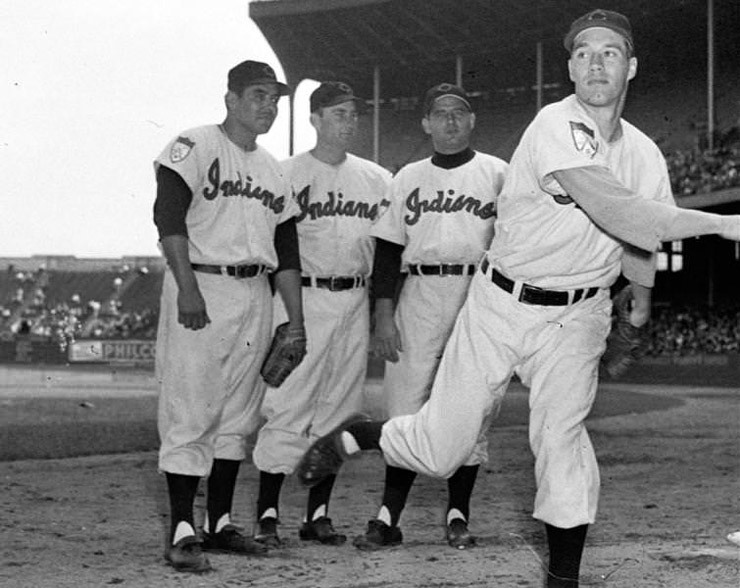 Later, in 1939, a “photo electric speed meter” was developed in part by the Cleveland Indians and used by their future Hall of Famer, Bob “Rapid Robert” Feller and Atley Donald of the New York Yankees. Other experiments followed including racing motorcycles in time with thrown pitches, but it wasn’t until after the Japanese bombed Pearl Harbor that science finally caught up with velocity. During World War II, two men (John L. Barker Sr. and Ben Midlock) developed radar for the U.S. military while working to solve the specific problem of terrestrial landing gear damage to amphibious aircraft. Their work with soldered coffee cans turned to the science of Doppler radar and was used to measure the sink rate of landing sea craft. 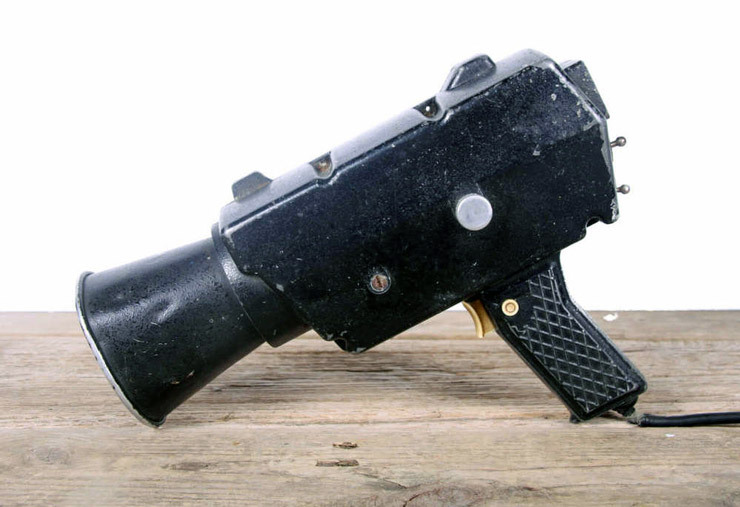 By 1949, state police in the northeast saw radar as an effective device to enforce speed limits, and little more than a decade later radar guns were included in the public lexicon. In 1973, Michigan State baseball coach, Danny Litwhiler saw campus police use radar to time speeding cars. Litwhiler, already known as the first player to sew the fingers of a glove in 1942, saw the potential to use radar guns as teaching tools for baseball to measure the velocity difference between fastballs and changeups. He contacted the JUGS Company, known for making pitching machines, and soon work on hand held radar devices for pitching were created. Today, radar capability is as simple as an app connected to smart phones and includes the ability to access video and training data to supplement raw velocity. Its widespread use continues unabated at all levels in baseball including Little League. Because the arms race in baseball is big money and its economics begin early as more and more baseball parents understand the impact of making a successful team and its ability to open doors for their sons. In fact, a recent story by HBO’s Real Sports revealed that youth sports tourism is a $9 billion per year industry! And leading the way are weekly juvenile travel baseball tournaments across the United States year round where older players compete for the attention of college or pro recruiters and younger players are on display for high school recruiters. Yes, most private schools and the more successful public schools often go to secret lengths to get the best kids into their programs, and the parents are more than cooperative to bend the rules that favor any advantage for their sons in the quest for baseball success. And success on the mound is spelled “V-E-L-O-C-I-T-Y”. Increasingly, in order to register higher radar numbers, pitchers are using techniques of force as the highest priority over the ability to command strike zones. This velocity theology leads to carnival barkers who sell velocity elixirs as the cure for malnourished radar numbers. “Pitchers… 30 days to 5 mph”, “Unlock hidden velocity inside of you”, “Exercises to gas up your fastball”, “Just throw better, harder, faster and be a better athlete”. Case in point, Ron Wolforth’s Texas Baseball Ranch. Often referred to as the leader in the new pitching revolution, Wolforth is the High Priest of the velocity religion. His private pitching academy outside of Houston, Texas is reported to have trained over 200 players to throw 90 mph since his ranch opened in 2006. Pitchers of all ages drop as much as $1,299.00 for a 3 day Coach Wolforth tutorial on the bio-mechanics of velocity. Selling this philosophy to MLB dreamers is central to the “Ranch’s” business model. In fact, in one article I found on the pitching ranch a 12 year-old camper is quoted as wanting to “throw 100 mph and get into the Hall of Fame” as his goal. I find it interesting and disturbing at the same time that this kid thinks his ticket to Cooperstown is only punched with triple digit radar. While many amateurs and professionals alike firmly stand behind the science and training associated with the Houston revolution headquarters, velocity centric teaching leads to a mental reliance on force to find the pinnacle of achievement. And the king of force in MLB’s high octane environment is New York Yankees reliever, Aroldis Chapman who holds the record for the highest recorded pitch at 105.1 mph! His Yankees teammate, Dellin Betancis has registered 101.2 mph to make the duo difficult to beat with late inning leads. Of course, Atlanta Braves pitcher, Mauricio Cabrera notched 103.2 mph in 2016 only to find that radar doesn’t call strikes. He finished his 2017 campaign in the Braves High A affiliate after posting dismal statistics. As we connect the dots, it’s important to remember that baseball has always been and will always be about pitcher vs hitter matchups. And higher speed deliveries place additional burdens on hitters. You better believe in today’s baseball world where each professional organization employs armies of analytic experts to provide managers with reams of readouts about hitters and their success ratios of various velocities, that decisions to bring in a reliever to matchup with a batter who has never a recorded a hit off a fastball at 98 mph and above will be made. In fact, Major League hitters hit .213 against 98 mph or better which is marginally lower than 2014 when hitters banged out a .223 average against the same high octane. Overall, MLB relievers set a record in 2017 by averaging 94.4 mph! This only reinforces the move by managers to turn the game over to their bullpens earlier because shorter benches can’t keep up with thrower depth especially when velocity is faster than a blink of an eye. Houston Astros’ Director of Research and Development, Mike Fast produced a tantalizing piece of data that suggests that one mile per hour of fastball is worth a fifth to a third of a run of run prevention. This is the undercurrent of the Ron Wolforth approach to developing future hurlers and why more and more MLB executives are making the trek to Texas. Perhaps, the New York Yankees understand this equation better than anyone. Consider during the 2017 American League Division Series Game 4 between the Yankees and the Cleveland Indians the average Yankees’ fastball was at 98 mph! Let that sink in. Yankees pitchers didn’t deliver one pitch under 96 mph and averaged 98 for all nine innings! Tom House is on record as saying that 100 mph will soon be the new normal. He went on to explain to New York Times writer, Tyler Kepner, “I think in the next five to eight years, most pitchers, to sign a pro contract, are going to have to show 97, 98, and touch 101, 102. That’s where the research is going.” Already, 31 different pitchers hit 100 mph at least once in 2016! But, where is “Peak Velocity”, the absolute limit to human capacity in a pitch? Pitching scientists like the previously cited Kyle Boddy believe maximum velocity will be likely 107 to 110 mph with aggregate pitchers delivering 95 mph! They also believe the pitching life expectancy of these flame throwers in MLB will be around three years. Case in point, in 2017 MLB had 50 pitchers whose average fastball was 97 mph or better, and the average fastball has increased from 89 mph in 2012 to 93 mph this year! As the arrow points north, traditional roles for pitchers will change as will acceptable ages for pitchers. House believes the future includes 12 man pitching staffs working three times a week facing no more than 9 hitters in a game and throwing no more than 45 pitches. If the supposed experts are correct, then future MLB mounds will be littered with youngsters under the age of 27 which is known as “Peak Age” for arms. Why 27? Because analytic research suggests velocity decreases after the first year and slopes noticeably down after pitchers turn 27 years of age. In today’s MLB and the future, velocity is the central component of a pitcher’s performance and the effects of entropy on the human body as it ages simply means that smart organizations will consistently cultivate as many young arms as possible. It’s obvious to the sabermetric crowd that the writing is on the wall, paying big money with extended years for aging pitchers leads to payroll problems with minimal returns, thus the days of financing post-thirty starters are closing while the need for young speed will only increase. As baseball continues to push the velocity limit, will pitcher injuries increase? If velo is the culprit, why hasn’t Aroldis Chapman had a UCL injury to date? “(Injuries to pitchers come) Not because throwing isn’t natural… What’s not natural is throwing a hundred pitches from a mound every fifth day“, he said. “That amount of throwing at that intensity is not natural.” Alright, so throwing a hundred pitches every fifth day is unnatural? What about historically when pitchers threw more pitches with less rest? Let’s look to the past to see if Fleisig is on target.